Life Is Like a Rip Current. We spend so much of life resisting, a natural response when deviated from our intended direction. Those who keep fighting life changes as if in a rip current often find themselves exhausted, unmoving, and drowning. 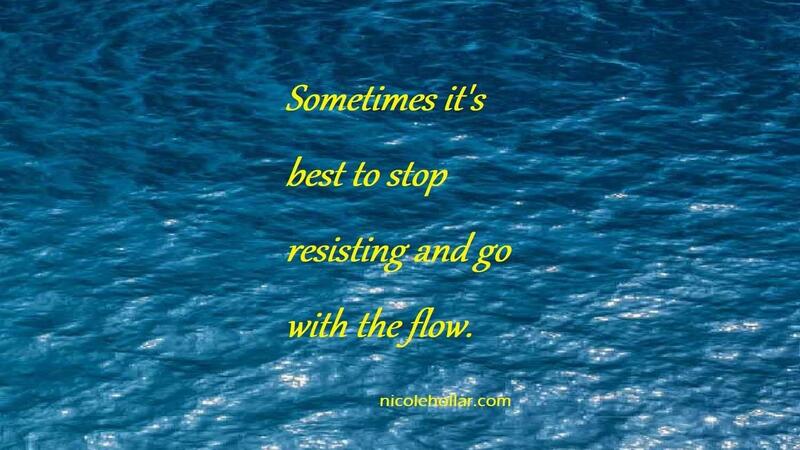 Sometimes it is best to go with the flow just like when stuck in a rip current. Sure, you may be diverted from your original direction but you will survive, and maybe even find a new or better path, or learn something along the way.